Hundreds of protesters gathered at Mir Ali to protest the recent incidents of target killing in North Waziristan. The speakers at the rally asked tribal elders, clerics, election candidates and traders to summon a grand Jirga to devise a policy to control the law and order situation in North Waziristan. The protesters criticized the elected leadership for their silence over recent target killings. The situation in Fata is deteriorating. Seven troops were martyred and two sustained injuries in an attack in North Waziristan. In recent target killings, three military sources including the son of an MNA have been killed in the last 12 hours. 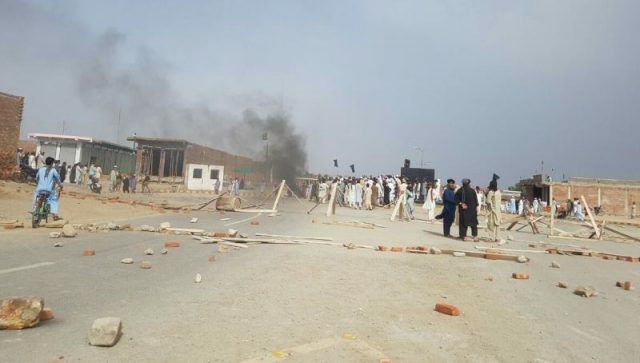 In Mohmand Agency, two more attacks have targeted prominent tribal elders. One of them is in critically condition. While in South Waziristan troops who were carrying water to a post have been targeted. One has been martyred and three have been injured in the attack.